Conshohocken Brewing has just introduced a limited release beer in its two locations and Misconduct Tavern in Philadelphia. 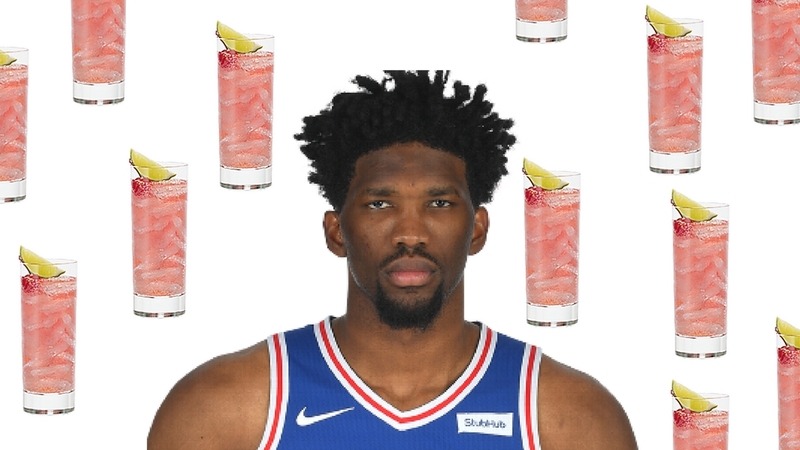 The beer celebrates Philadelphia 76’ers Joel Embiid’s love of Shirley Temples. He was famously quoted in 2016 saying he drinks three or four pitchers of the drink a day. The beer is named Hinkie’s Sweet Revenge and is a described as a “Shirley Temple inspired process ale.” It is a Witbier, or Belgian White, brewed with fresh ginger and black currant “to echo the flavors and appearance of a Shirley Temple.” It has a 6.3 ABV. Conshohocken resident and Sixers’ super fan Michael Diaz was seen waiting in line wearing his Trust the Process shirt and singing “Good Ship Lollipop.” Zing!